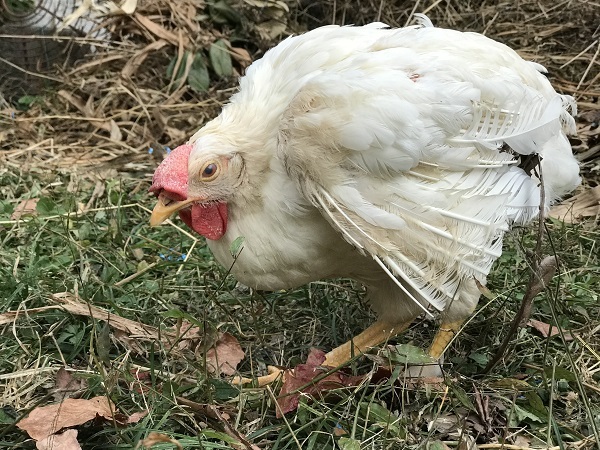 Following the rescue of two birds who have been fostered by the Open Sesame sanctuary, the Animal Rights Center rescued two egg-laying hens from a battery cage farm. They had difficulty walking and were about to be killed because they could not lay eggs. Their foster parents are Mrs. Ujiie, who had earlier taken in the battery cage chickens Koharu and Satsuki as their family. In the big yard at the family’s, the two birds were able to feel for the first time the feeling of the green grass well lit by the sun. They are still not able to walk as they wish. One of the birds cannot move forward because her left toe is twisted and she cannot grab onto the ground securely. The other one cannot move her ankle as she wishes, and keeps tumbling over many times. Still, they both keep trying many times to walk on the ground. we named them “Nozomi” (hope) and “Ayumi” (walk). In chicken farms where chickens are treated as economic animals, chickens with disabled legs or who become unable to stand up are culled out (killed). They are no longer able to reach the water dispenser and can not peck at the food in the feeding trough because they can not support the floor with their feet. Therefore they can not lay eggs. Eliminating those birds to make room for those who can lay eggs, is what commercial egg farming does. An irreplaceable life is an idea that does not apply in the livestock industry. The value of a hen is only in "laying of a lot of eggs". Such pursuit of productivity, and the harsh modifications of the breeds, result in "walking difficulty" and "inability to stand". As a result of continuous modifications to the breeds so that they can lay even a slightly larger number of eggs, they discharge the calcium necessary for themselves, making the egg-laying hens prone to osteoporosis. The lack of exercise from growing inside cages also accelerate the fragility of their bones. Even if they cannot stand up, they keep trying to stand up inside the cages until their last breaths. They will stretch their necks to the water dispensers and try to get to the feeding troughs. Until their final breaths they will not give up living. Whether or not they lay eggs, every one of them is an irreplaceable chicken. 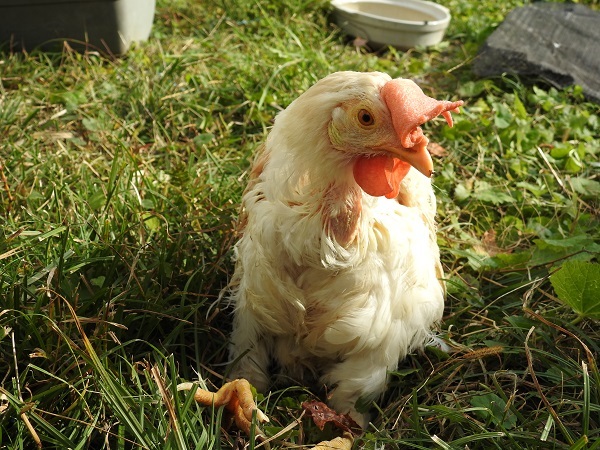 To ensure that the chickens are respected as irreplaceable lives, the Animal Rights Center will continue our best. we will increase the number of people who choose to go VEGAN.